‘The golden city of one hundred spires’ is captivatingly beautiful and well preserved and, since the dismantling of the Iron Curtain, it has become one of Europe’s top tourist destinations. Unlike many other European cities, the historic centre escaped significant bomb damage during the Second World War, leaving its Romanesque, Gothic, Renaissance and Baroque buildings intact. The majority of the best places to stay in Prague are found here, whether you're looking for a hotel or something a bit more unique. In 1992 Prague was named a UNESCO World Heritage Site and today is a magnet for more than four million international visitors every year. Kafka wasn’t alone in his discovery that, "Prague never lets you go". With its untouched architecture and stunning setting: on the banks of the Vltava River with views up to the majestic castle, it looks like a film set and often is. Indeed many of the best places to stay in Prague boast either fabulous views or a simply stunning exterior. Where to Stay in Prague - which neighbourhood? The centre of Prague is compact, bounded on three sides by a wide loop of the river. There are several districts we consider to be the best places to stay in Prague, all packed with attractions, and all within walking distance. At its heart is Staré Mesto, the lively Old Town, rich in architecture from different periods and restaurants, bars and nightclubs. This is where you’ll find the famous Astronomical Clock, the mural covered Storch Building and the Gothic Týn Church. whilst to the south is Nové Mesto, the New Town, redeveloped in the 19th century. This is where you’ll find Wenceslas Square and the National Museum. Reached by a series of bridges, most famously the one built in the 14th century by Holy Roman Emperor and King of Bohemia, Charles IV, Malá Strana, the Little Quarter, was established in the 13th century and populated by Germans. Then up a steep hill to the north is Hradčany, which was founded in the 9th century and is the oldest district and home to Prague Castle. Prague Castle, the largest ancient castle in the world - according to the Guinness Book of Records - and extremely beautiful and atmospheric. It also affords wonderful views of the rest of the city from the lookout tower of St. Vitus Cathedral. The mural covered Storch Building. 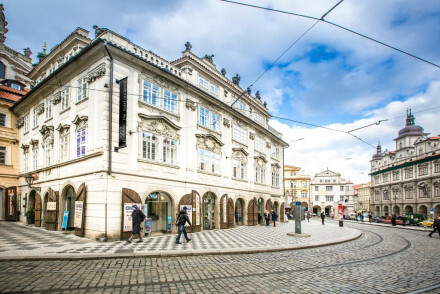 The National Gallery, Museum of Fine Arts, Museum of Decorative Arts and the Prague City Gallery are worth visiting if you’re interested in art and design. 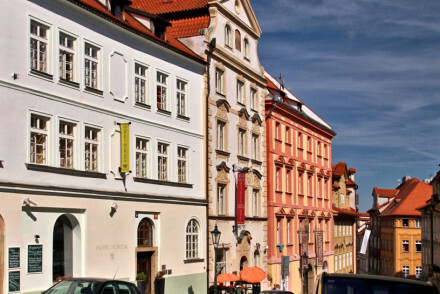 Prague also has museums to Mozart, Mucha, Kafka, Karel Zeman, a beer museum and a Jewish Museum. Prague is a great city for walking around, although almost all the streets and pavements are cobbled, so comfortable shoes are essential. The majority of our selection of the best places to stay in Prague are easily accessible on foot from all of the major attractions. Public transport is excellent and cheap, and you can use trams or buses to get to parts of the city not served by the Metro. Trams are a particularly good way to see the sights. 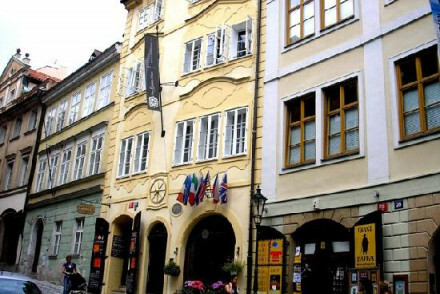 The Iron Gate Hotel & Suites is in the Jewish Quarter, in the heart of the Old Town, and offers accommodation in large rooms and suites with lots of traditional charm. The Unitas Hotel is traditional inn-style property in the Old Town with 22 comfortable, understated rooms, lots of space and bags of charisma. There’s a charming courtyard with a lovely cafe. 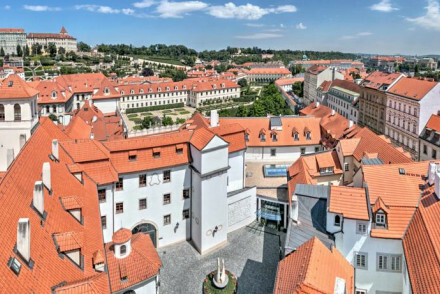 The Golden Well Hotel occupies the 16th Century Emperor’s residence, on a winding cobbled street beneath the walls of Prague Castle. The 19 rooms are classic Renaissance style, with period furnishings and some beautiful antiques. The views from the rooftop restaurant are incredible. Close to Prague Castle, Domus Henrici is a chic little boutique hotel with eight, traditional rooms decorated with Turkish rugs and antiques and a beautiful, flower-filled terrace. The Alchymist Grand Hotel & Spa offers 46 lavishly decorated rooms within a 16th century Baroque landmark. The beds are four-poster, the walls decorated with striped silks and there are some beautiful antiques and frescoes. Plus a lovely pool, regal restaurant and an indulgent spa. It sounds grand: Art Deco Imperial Hotel, and it is, it’s a fabulous five-star hotel with plenty of romance and beautiful features. But with rooms starting from around £110 per night it’s also great value. The communal areas are beautiful and the restaurant is excellent. Close to the Charles Bridge and the Town Square, The Emblem Hotel is a collection of 59 rooms and suites with simple, modern lines, bold fabrics and the latest in-room technology. There’s a spa with spectacular city views and a jacuzzi on the roof terrace. 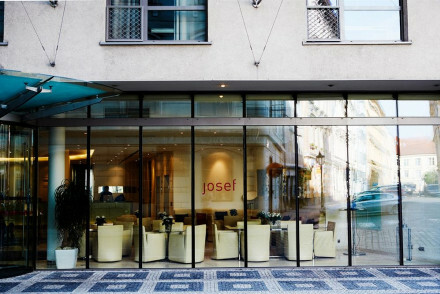 The Hotel Josef is a contemporary design hotel with minimalist decor, a trendy bar and legendary breakfasts. Some of the 109 rooms have balconies, all have luxurious bathrooms. 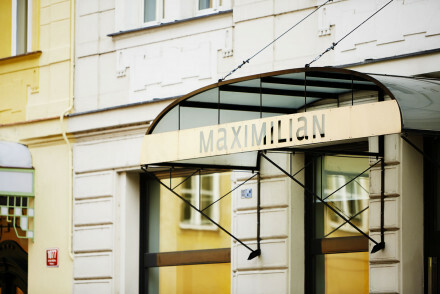 The Hotel Maximilian occupies an elegant building built in the 1920s, but inside the decor is minimal and hip. There’s an excellent spa, wonderful views and the breakfasts are highly recommended. The Pachtuv Palace was once a palace and its six rooms still have many palatial features, like four-poster beds, cavernous ceilings, art bedecked walls and private balconies overlooking the river. The restaurant is good too. 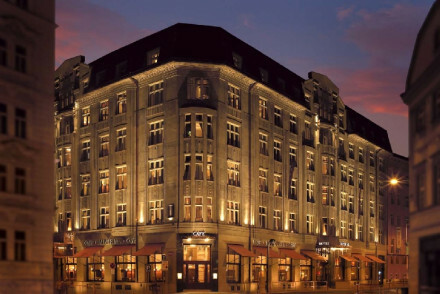 Three Storks is a boutique, five-star hotel close to the river and all Prague’s main sights. This is a glamorous feeling hotel with large sunlit spaces and an excellent restaurant. 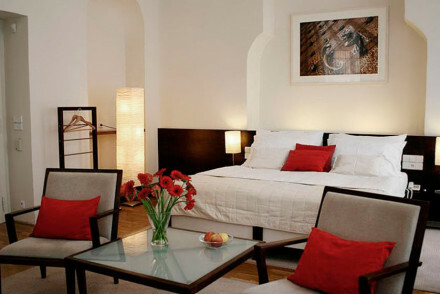 The Appia Residences are a collection of 21 rooms in an attractive sandstone building close to Prague Castle. Built around a central courtyard and gardens, the rooms are a bit floral, but with plenty of natural light. Right next to the Charles Bridge, Domus Balthasar is a gorgeous, traditional hotel with exposed beams in the ceilings, parquet floors and river views. There are just eight rooms and suites and all are a good size, some have kitchenettes. The Hotel Neruda is a chic, contemporary hotel in the Old Town with 42 bright rooms and a charming cafe-restaurant. You’re within walking distance of the city’s highlights. Family friendly and fun. Romantik Hotel U Raka is a rustic family run property in one of the leafiest areas, that feels more like a village. It has only six bedrooms and features include log fires, timber beams, crisp white linen and a small art gallery, showing the family's latest pieces. Andel’s Hotel, Prague is an oh-so-sleek and modern hotel with 230+ rooms and suites and a lively atmosphere. Expect clean modern lines with splashes of red, private balconies and plenty of gadgetry. In the Simichov neighbourhood. Le Palais is a beautiful Baroque villa in a leafy, residential part of town with 60 traditionally elegant rooms and all the contemporary luxuries. 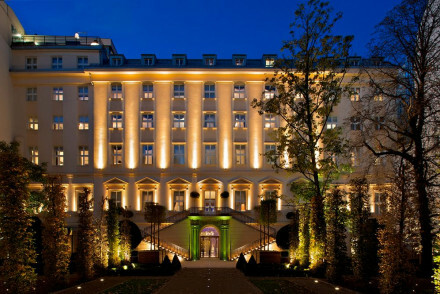 It's romantic too, with a fantastic restaurant and an impressive spa. The Icon Hotel & Lounge is a contemporary hotel with a fabulous spa and 31 modern rooms and suites: think white washed walls, light wood floors, splashes of colour and gadgets. The restaurant is good too. The Hotel Unic is a chic, stylish hotel in the centre of town with 90 modern rooms and a trendy bar which specialises in local tap beer. Close to the main sights and the nightlife. The Hotel Sax is a contemporary boutique hotel with 20 rooms tucked away in the Old Town. The decor is fun and funky - think bright colours and eclectic, 60s era art - with excellent views of the skyline from those rooms with their own balconies. Rooms start from around £60 per night. Dum u Velké Boty ticks all the boxes while still being very affordable. An unassuming home from home with only 12 bedrooms, if you stay here you’re just 10 mins walk from either Prague Castle or the Charles Bridge. At a similar room rate, the Motel One, Prague offers city style, with 141 contemporary bedrooms and a quiet lobby - perfect for business or a quiet evening drink. You’re close to the centre of town and all the restaurants and bars there. 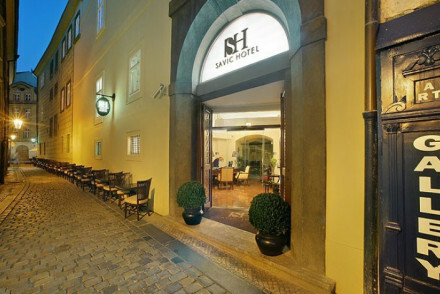 For around £75 per night you can stay in the Savic Hotel, a charming, 27 room hotel in the old town with a lovely, traditional facade, but all the mod. cons. inside. The rooms are large and there’s a great restaurant serving local specialities. If you'd prefer the flexibility and independence of renting an apartment, check out the selection with our online partner, Booking.com. Václav Havel Airport Prague is the closest airport, just 20kms north of the city. You can catch a bus, special airport bus or train into town from the airport. Or arrive in Prague via its very well connected main station, probably enjoying some spectacular views of the mountains on the way. Prague is busiest in the summer, and magical at Christmas. If you’re looking for a quieter period with pleasant weather then spring and early autumn are probably best. Prague can get very cold so if you’re not here for the Christmas markets and Christmas cheer you might find it a bit dark. Rustic family-run hotel in the leafiest and most peaceful part of central Prague. Village atmosphere with cobbled streets, typical restaurants, and little pubs. Inside, simple wooden furniture, crisp white sheets, timber beams, log fires and a small art gallery. Ideal for cosy winter weekends away. Hideaway - A cosy and homely bolthole in a historic building with warming fires and winter gardens attached. Sights nearby - Visit the stunning Prague Castle and famed Charles Bridge. 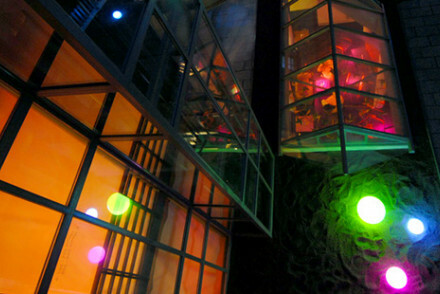 A contemporary boutique Hansel and Gretel style in Prague's Old City. 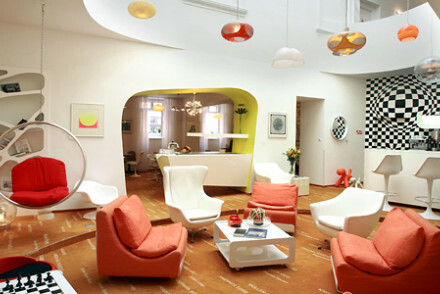 Funky rooms and suites have eclectic furnishings and excellent views over the city skyline, some with private balconies. A stylish, family friendly spot close to the main attractions. Views - Wonderul roof top views. 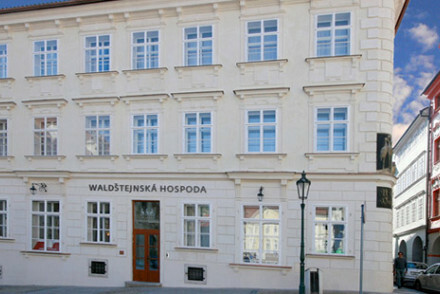 Sights nearby - Situated in the heart of the Old Town a stone's throw from all the major sights. 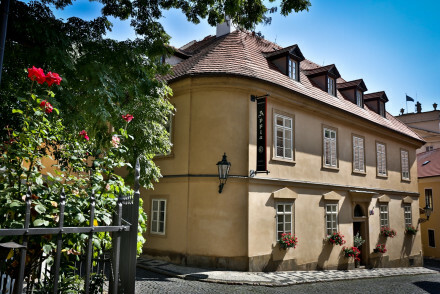 A romantic traditional hotel close to Prague Castle. An attractive sandstone building with rooms scattered around a central courtyard garden. Pastel bedrooms have floral fabrics, light wooden floors, and lots of natural light. Beautiful garden area and close to all the attractions. Excellent value. An oh so sleek and modern hotel with a lively atmosphere. 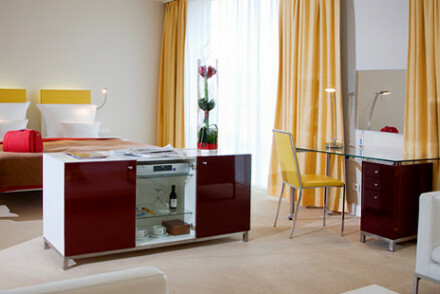 Rooms and suites filled with modern gadgetry, clean lines, splashes of red, and private balconies. Fantastic spa facilities and an excellent restaurant. A trendy spot with all the contemporary luxuries. Sights nearby - Situated in the Simichov neighbourhood. Cosy family run BnB in a quiet area. 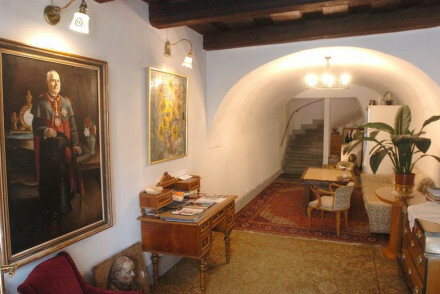 Interiors are full of traditional paintings and antiques. Rooms feature exposed stone walls and terracotta floors. Charming breakfast room for morning feasts. Reasonable rates and friendly owners. A great find for those in search of an 'authentic' experience. Local exploring - A charming and quaint BnB tucked away on a narrow lane, where the owners will give you insider tips on where to go in Prague. Writing a novel - Popular with writers due to it's quiet location, excellent rates and homely feel. Sights nearby - Walk to the famed Charles Bridge and the magical Prague Castle. A lovely contemporary chic hotel tucked away in Prague's Old Town. Bright rooms have big comfy beds, light wooden floors, and stand alone bath tubs. Charming cafe-restaurant and walking distance from main attractions. Excellent value and family friendly. An utterly romantic former palace. Palatial rooms and suites have four poster beds, cavernous ceilings, art works and private balconies with views over the river. Fantastic restaurant, rose garden, and fitness/spa centre. A Romeo and Juliet style choice. A fantastic contemporary boutique Five Star hotel not far from the river and close to all the attractions. Glamourous rooms and suites have all the mod cons, large sun lit spaces, and sumptuous beds. Excellent restaurant too. Luxurious, romantic. Contemporary design hotel with minimalist interiors. Naturally lit rooms, some with balconies and all with modern luxury bathrooms. Legendary breakfasts and a trendy bar. Peaceful courtyard and wonderful views. Well situated for exploring Prague. City Style - A design hotel by celebrated Czech architect Eva Jiricna, with uber modern interiors right in the heart of Prague. Great walks - The well informed staff lead a jog around the Old Town on Tuesday and Friday mornings. Sights nearby - Close to the Charles Bridge, Tyn Church, Republic Square and Prague Castle. Elegant 1920s building with modern interior decor. Hip minimalist rooms feature glass partitions to the bathroom. Excellent breakfasts and a spoiling spa for completely unwinding. Wonderful views over Prague's main cultural attractions. Well positioned to make the most of the city. Sights nearby - Within easy access of Prague Castle, the famous Charles Bridge, the Old Town Square and the Jewish Quarter. A lovely traditional inn-style hotel in Prague's Old Town. Comfortable understated rooms with lots of space. Charming courtyard and cafe. An excellent value spot with bags of charisma. 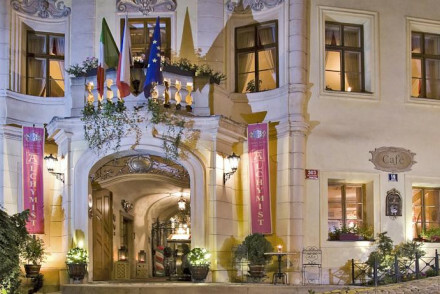 Charming hotel in an excellent location, a stones throw from Charles Bridge. Wooden beams and simple but chic décor lend plenty of character. With only eight rooms and friendly staff, Domus Balthasar is an oasis of calm in the hubbub of Prague. 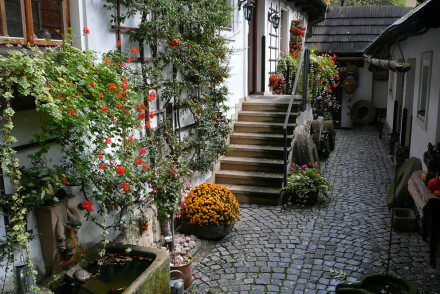 A chic boutique hotel, on a quiet cobbled street near to Prague Castle. The expansive rooms are beautifully styled in a traditional manner with parquet flooring, Turkish rugs and antique furniture. Sit out on the flower filled terraces, sipping on a drink and admiring the views. Real city style. Local exploring - A wonderfully traditional and chic hotel to return to after a long day of exploring this fascinating city. Great walks - Wander around the stunning Prague Old Town, full of unique sights and interesting shops. 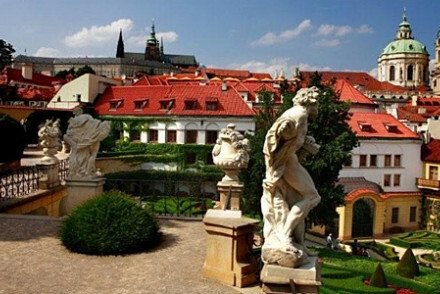 Sights nearby - Visit the nearby Prague Castle, Loreta Chapel or Strahov Monastery. An historic building with lots of traditional charm. Large bedrooms and suites have wooden beams, wooden floors and white washed walls. Close to all the attractions. Perfect for a city break. Local markets - Charles Bridge, Nové Mesto. Great walks - Petrin Hill. A seriously charming hotel in Prague's Old Town. A traditional facade on a cobbled street houses romantic bedrooms and a restaurant serving local cuisine. Huge rooms have creamy furnishings, wooden floors and beams, and chandeliers. Romantic, excellent value, and traditional. Sights nearby - Close to all major sights including Charles Bridge, Prague Castle, Wenceslav Square, National Theatre and Powder Tower. 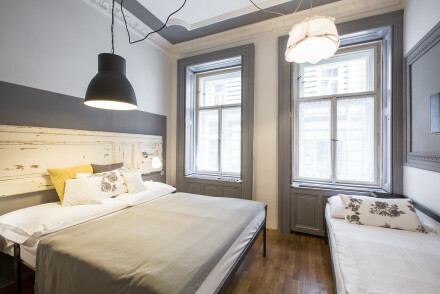 Boutique urban hotel right in the centre of Prague a short walk to the old town square and Charles Bridge. Rooms & suites offer clean lines, bold fabrics, & the latest technology including in-room tablets. Terrific rooftop spa with views over the city. Ideal spot for pleasure or business. A good Four Star Baroque-style hotel on the historical Nerudova street. Small, cosy and romantic with large spacious rooms filled with natural light, wooden floors, and white washed walls. Views of Prague Castle and Petrin park, a small Italian coffee shop, and good value. Great for a weekend. Sights nearby - Prague Castle, Charles Bridge. Local markets - Nové Mesto. A beautiful Baroque villa in a leafy residential area of Prague. Traditional elegance throughout with all the contemporary luxuries. Romantic bedrooms and suites have original frescoes, fireplaces and balconies. Fantastic restaurant with a terrace and an extensive spa. 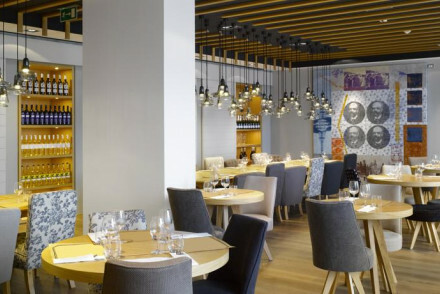 Foodies - Fantastic restaurant and terrace with views of Prague Castle and Charles Bridge. Sights nearby - Free shuttle service to the Old Town Square. 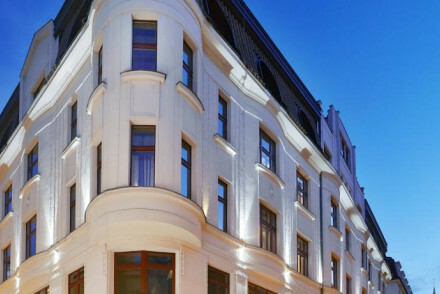 The Nicholas Hotel Residence is located in Lesser Square, Prague. It offers a variety of cosy and contemporary rooms, plus each unit comes with its own kitchenette and free wifi. Enjoy a complimentary full continental breakfast each morning to set you up for the day! A charming stay. 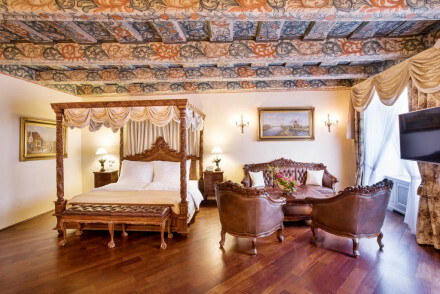 An opulent historical hotel, lavishly decorated in gold with antiques and frescoes. Rooms with four-poster beds, striped silks, and oriental carpets. An indulgent spa, lovely swimming pool and a restaurant fit for royals. A magical hotel in a great location. City Style - A gilded and stuccoed hotel with wonderfully opulent interiors, handpainted wallpaper and frescoes, in the lovely Malá Strana. Spa breaks - The Ecsotica spa has every indulgence including a relaxation area, hammam, steam bath, saunas and an extensive treatment list. Sights nearby - Walk to the Old Town Square across the Charles Bridge, just outside the hotel. 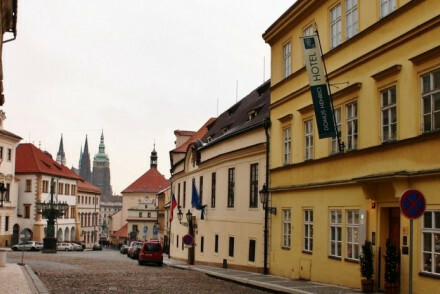 A 16th-century Emperor's residence, on winding cobbled streets beneath the walls of Prague Castle. Classical Renaissance decor, with antiques, artworks and elegant period furniture. Enjoy the views from the popular rooftop restaurant. A truly unique and characterful spot immersed in history. Local exploring - Fantastic location in the heart of the Old Town, next door to the Prague Castle and other impressive monuments. Writing a novel - Make use of the in room writing desks and be inspired by the history that envelops this incredible hotel. Honeymoons - Beautifully decoarted rooms with wonderful views of the city, an ideal place to celebrate a honeymoon. 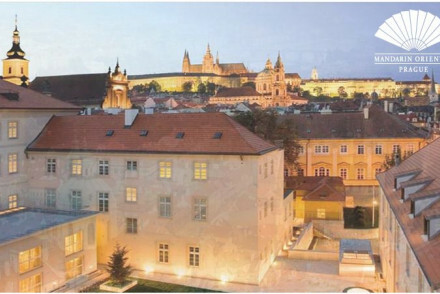 Sights nearby - Guests staying at the hotel can use the private Emperor's entrance to the Prague Castle. 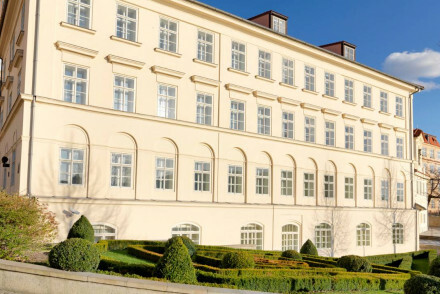 An elegant luxury hotel boasting an enviable location in the Old Town of Prague. Rooms are spacious and contemporary and offer indulgent bathrooms along with all the mod-cons. Unwind in the wellness centre before dining on fresh healthy cuisine in the restaurant. An ideal base for city exploring. 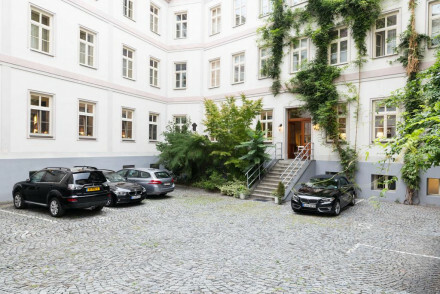 Local exploring - Barely a few steps from the Old Town Square, this hotel has an ideal location for local exploring. Local markets - Scour the markets in the Old Town Square for local produce. Sights nearby - Take a stroll from the property to view Henry's Tower. A wonderfully quirky spot that combines historical architecture, modern design and themes of classical music. Grand bedrooms and suites have all the mod cons, private balconies, and individual decoration. Excellent restaurant, spa, and family friendly accommodation. Sights nearby - St Nicholas' Church, Prague Castle, osefov, the Old Jewish Quarter. 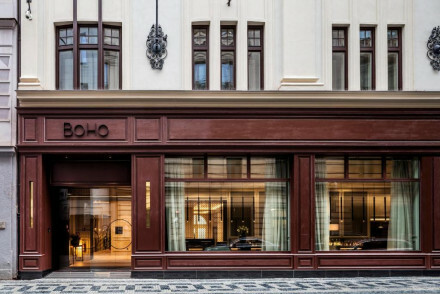 An urban resort boasting contemporary Asian interior design with French colonial influence, set in a historical building in the heart of Prague. Large lavish rooms and a lovely oriental spa for complete relaxation. Enjoy the Pan-Asian cuisine and live DJ sets in the lounge. A chic choice. City Style - A trendy hotel marrying the sleek style and lively nightlife of the Buddha-Bar brand with luxurious suites and service. 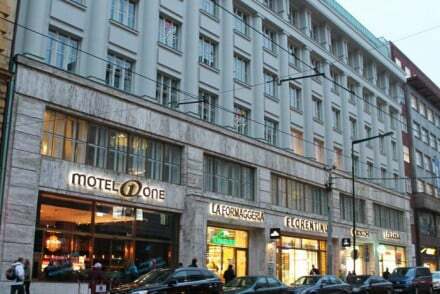 Sights nearby - Walking distance to the Royal Palace, Old Town Square, Wenceslas Square and the Jewish Quarter. 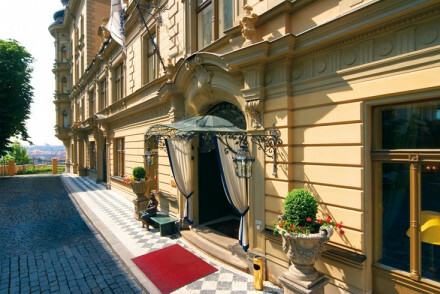 Luxury hotel encompassing three buildings of Classical, Renaissance, and Baroque origin, in Prague's Old Town. Magnificent architecture meets elegant interiors. Stunning castle and river views and luxurious rooms with state of the art technology. Ideally placed for an indulgent stay in Prague. Foodies - The achingly hip Cotto Crudo served up a variety of raw foods, as well as a wonderful tasting menus with pairings. City Style - An elegant hotel set in three historic buildings overlooking the Vltava River and Charles Bridge. Great walks - Wander the streets of the Old Town Square and Jewish Quarter just outside the hotel. Sights nearby - No visit to the city is complete without a trip to the fairytale Prague Castle. A former 14th century monastery, turned luxury hotel boasting contemporary design and period architecture. This chic hotel offers first-rate service and plush rooms. The Renaissance chapel is now a magnificent spa and the Baroque cloisters hold a fantastic restaurant and bar. A truly spoiling stay. City Style - Decadent contemporary hotel in a traditional shell, with parquet flooring and stunning views over the fairytale Prague Castle. Sights nearby - The 14th-century Charles Bridge, the Baroque St Nicholas Cathedral and Prague Castle are all easily accessible. 13th-century Augustinian monastery with a smart Cubist-inspired interior. 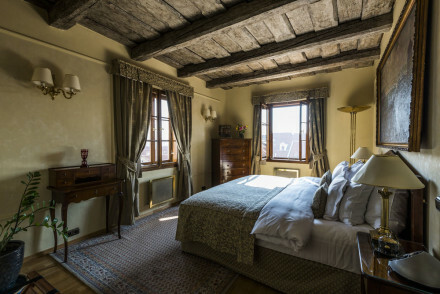 Elegant rooms with stone walls and historic features still in place. Courtyards, frescoes, cloister bar, cellar brewery, gardens, and an all-glass monastery restaurant. The height of style in the heart of historic Prague. Romantic Break - A dream couples retreat in the Malá Strana, with luxorious suites, charming restaurant, 'Bohemian tapas' bar and spoiling spa. City Style - This wonderfully stylish hotel perfectly marries old and new- think art deco chairs and gothic arches. Sights nearby - The hotels central location makes it ideal for exploring the sights, including the fairytale like Prague Castle.